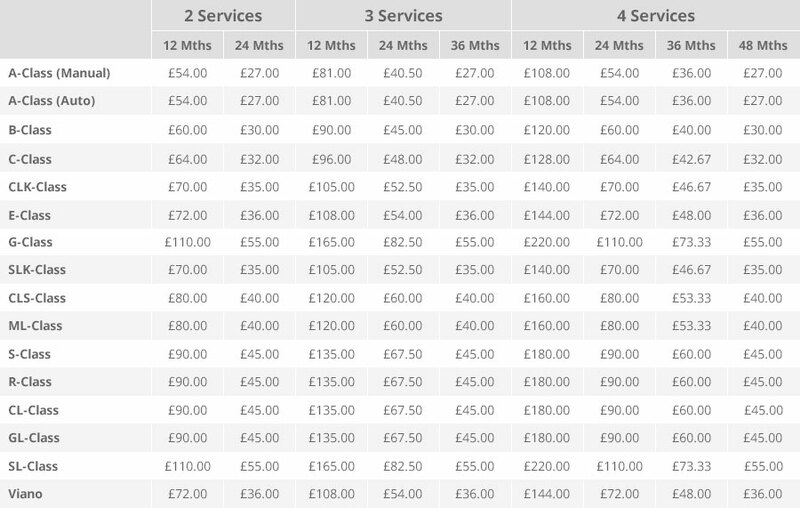 Service Care is a complete service plan from Mercedes-Benz and is the easiest way to manage your service costs. By making a small monthly payment, you can spread the cost of essential services. Whichever model of Mercedes-Benz you drive*, Service Care provides you with comprehensive cover and plans that can be taken out on new or used vehicles whatever the age. Service Care helps budget for all your servicing costs by spreading your bills into manageable payments. We guarantee the price of parts and labour for up to four services and safeguard against further inflation. Service Care also covers the cost of any additional items including brake fluid, spark plugs, fuel filter, air filter and screen wash.
How do I buy a plan? Plans are available to purchase when buying a new or used Mercedes-Benz from a Mercedes-Benz retailer. 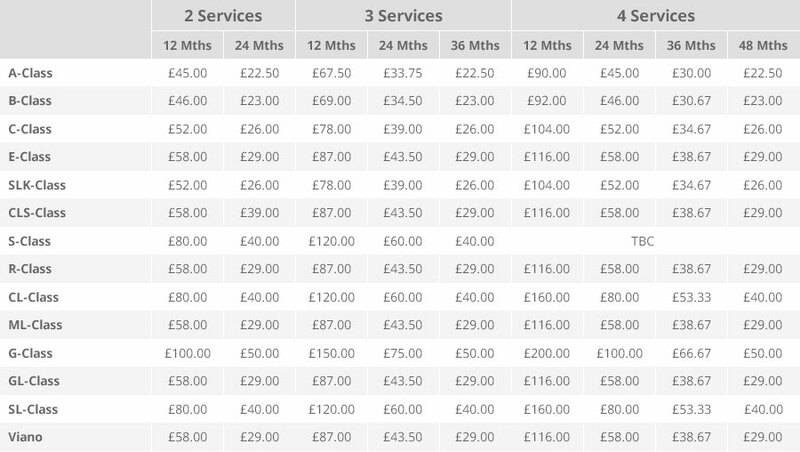 Prices shown are fully inclusive monthly rates - based on number of services and payment term. Service Care for AMG models is available separately. Used vehicle - over 12 months old. Prices subject to change without prior notice. *Service Care for AMG models is available separately.